when the Great Cultural Revolution began. my country Zhong Guo, the Middle Kingdom. our leader had died and the revolution ended. And this is how I remember it. When Chun Yu was born in a small city in China, she was born into a country in revolution. The streets were filled with roaming Red Guards, the walls were covered with slogans, and reeducation meetings were held in all workplaces. Every family faced danger and humiliation, even the youngest children. Shortly after Chun’s birth, her beloved father was sent to a peasant village in the countryside to be reeducated in the ways of Chairman Mao. Chun and her brother stayed behind with their mother, who taught in a country middle school where Mao’s Little Red Book was a part of every child’s education. Chun Yu’s young life was witness to a country in turmoil, struggle, and revolution—the only life she knew. This first-person memoir of a child’s view of the Chinese Cultural Revolution is a stunning account of a country in crisis and a testimony to the spirit of the individual—no matter how young or how innocent. 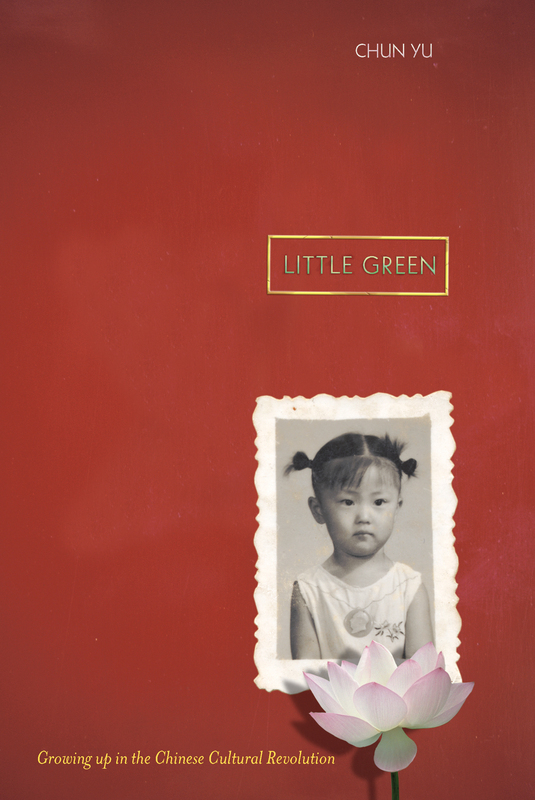 Little Green is the fascinating memoir of a young girl growing up during China’s Cultural Revolution, which took place between the years 1966 and 1976. Written in free verse, this poetic text highlights the impact of Chairman Mao’s policies on Little Green, her parents, grandparents, brother, and sister. Family life is disrupted when Little Green’s father is sent to the countryside to be reeducated, where he now has to live and work with peasant farmers. Meanwhile, Little Green’s mother is accused of having counterrevolutionary motives. Throughout these difficult ten years, Little Green experiences many changes, some of which she understands better than others. “Mama will explain things when you grow up,” she is told. Because the book is a mix of personal experience and historical information, it invites multiple reader responses. Readers will respond to the strong feelings among members of Little Green’s family and their many acts of love for one another. Readers will also be able to envision past events because of the vivid descriptions of sights and sounds and the use of figurative language. In addition to evoking personal responses, the book also provides information about historical events. This information should prompt questions about these events: What happened? Why? What is important to know about these events? Students can learn more about the Cultural Revolution in China by consulting the resources listed below. This list consists of additional memoirs, websites about the Cultural Revolution, and websites about the leader of the Revolution, Mao Zedong. In effect, Little Green opens the door to learning about how people’s lives are impacted by the times in which they live. Little Green is divided into six sections, each showing how the Cultural Revolution in China affected Little Green and her family over time. As you discuss each section, think about how the unfolding events changed her life and those of others. a. How teachers were treated at Mama’s school. b. Chairman Mao’s attitude towards city life and country life. 4. Several of the poems in this section describe the beauty of the countryside. (See, for example, “The River, Riverbank, and Graveyard”; “the Lotus Pond”; and “Snowy Night.” What words and phrases does the author use to help you visualize these places? 5. What does the confrontation between Mama and Comrade Li (“On the Bridge to Mama’s School”) show about Mama’s character? 6. How did the country school theater productions reflect the ideas of the Cultural Revolution? 7. How did the theater productions include the childlike thoughts and actions of Little Green and her brother Gege? 8. After rereading the story “Walking on Thin Ice,” discuss what happened to Little Green and how she was rescued. 9. Little Green’s father said, “Life is like walking on thin ice.” Do you agree? Why do you think these efforts weren’t completely successful? 11. How does Little Green feel when she hears about Chairman Mao’s death? 12. What is important to remember about Little Green’s experience growing up during the Cultural Revolution? • Fill in the web below by providing examples of events and policies that contributed to the Ten Years of Calamity. Share your thoughts with your classmates. 14. What questions do you have about the Cultural Revolution? Use these questions as the basis for further research. Guide written by Myra Zarnowski, a professor in the Department of Elementary and Early Childhood Education at Queens College, CUNY. 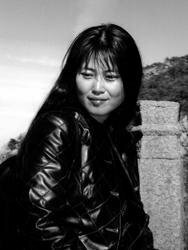 Chun Yu was born in China in May 1966. After graduating from Peking University, she moved to the United States to pursue her PhD and a career in science. She now works as a principal scientist in a medical company Chun Yu lives in San Rafael, California.